I have some very fond childhood memories of playing games and yelling “Shazam!” at my playmates… though I admit I never knew it stood for Solomon, Hercules, Atlas, Zeus, Achilles and Mercury. You live and learn. Yelling “Shazam!” did not turn me into a superhero, as happens to teen Billy Batson’s case. Whenever he shouts the word, he becomes the adult superhero of the same name, courtesy of an ancient wizard. Still a child – inside a ripped, godlike body – Shazam revels in this adult version of himself by doing what any teen would do with superpowers: have fun with them! With the help of superhero enthusiast friend Freddy, Shazam sets out to test the limits of his abilities with the joyful recklessness of the child he is inside. But he’ll need to master them quickly to fight the deadly forces of evil controlled by Dr Thaddeus Sivana, who’s got his eye on Shazam’s powers and wants them for himself. Shazam lives in the DC Comics universe – in his world, Superman and Batman exist, and Billy gets the wish that all kids his age make. But for Billy, there’s a twist. He doesn’t just get the superpowers, he becomes an adult. Inside, the Superhero Shazam starts out as a cynical foster kid struggling to find his place in the world, who knows nothing about such heroes, let alone how to be one. 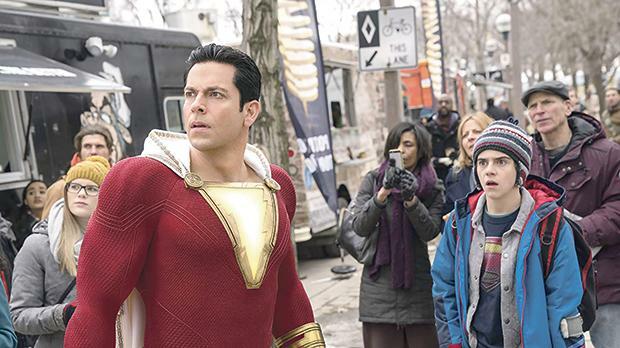 Zachary Levi, who plays Shazam, recalls that it was the combination of all aspects of the story that he found so compelling. “Yes, it’s about Billy Batson becoming Earth’s mightiest mortal and defender just in time to meet some serious supernatural evil that he needs to learn how to defend against, but really it’s a great coming-of-age story within a family story within an action story,” muses the actor. For Levi, starring in Shazam! – a movie about wish-fulfilment – is truly life imitating art; or possibly the other way around. It’s hard to say whose dreams are really coming true, Shazam’s or his own. “More often than not, you’ve got a character who is begrudgingly pulled into the superhero thing, and they have these powers and everybody needs them and they’re thinking, ‘Oh great, I have to save the world again?’,” Levi explains. Shazam! is the latest big-screen venture for the DC Comics franchise. It follows on the successful Aquaman, and the two films shared a producer in Peter Safran. While he acknowledges there are similarities in that both characters struggle to find their place in their respective worlds, Safran says, “Each of the DC properties can, and should, have a different tone. They all live in different worlds, and for Shazam we loved the idea of combining the big action movie with all the wonderful comedic character elements. Shazam! also stars Asher Angel as Billy Batson, Mark Strong as Super-Villain Dr Thaddeus Sivana, Jack Dylan Grazer as Billy’s best friend, Freddy, and Djimon Hounsou as the Wizard. It is directed by David F. Sandberg. Pet Semetary (Classification 15) – Dr Louis Creed and his wife, Rachel, relocate from Boston to rural Maine with their two young children. The couple soon discover a mysterious burial ground hidden deep in the woods near their new home. Missing Link (Classification U) – Mr Link recruits explorer Sir Lionel Frost to help find his long-lost relatives in the fabled valley of Shangri-La. Along with adventurer Adelina Fortnight, this trio of explorers travel the world to help their new friend. 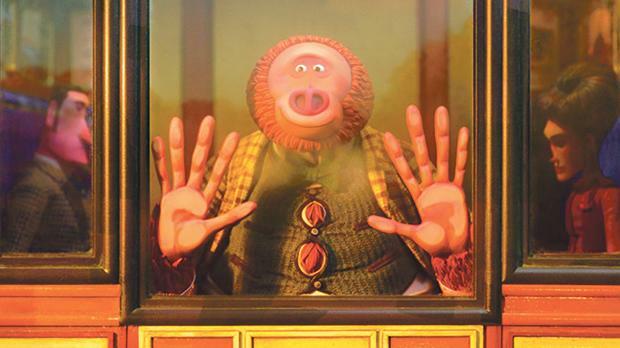 Zach Galifianakis, Hugh Jackman and Zoe Saldana in Missing Link.